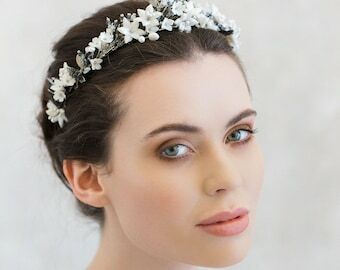 Announcement LUXURY BRIDALWEAR & ACCESSORIES | HANDCRAFTED IN IRELAND | Named best bespoke bridal designer by Elle & Harper's Bazaar. - We specialize in bespoke designs, tailored to the clients unique specifications. Fine couture crystal, silk and lace work. 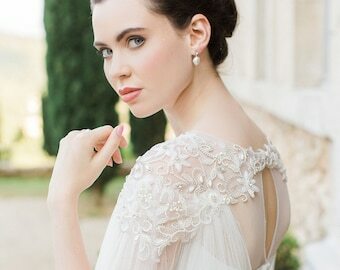 LUXURY BRIDALWEAR & ACCESSORIES | HANDCRAFTED IN IRELAND | Named best bespoke bridal designer by Elle & Harper's Bazaar. Love! Love! Love! The Orion made my dress! The compliments were overwhelming. Thank you for being an important part of our special day. More gorgeous in person! Needed it for a costume...The Neverending Story! So many complaints on it. 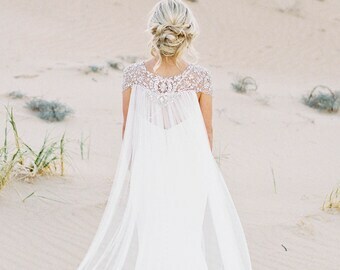 This will be the perfect cape for my wedding day ceremony, thank you so much! 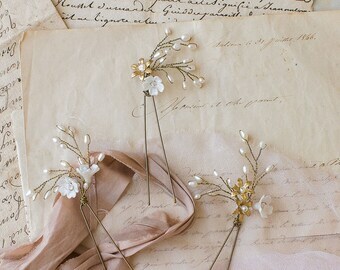 It is beautifully made, I can't believe every bead is sown by hand, Amazing! The opulent ALLEGRO cape. 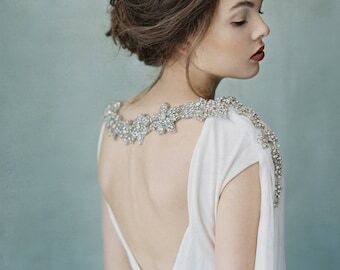 Each tiny glistening bead and crystal is hand embroidered to create a cascade of softly falling snowflakes. 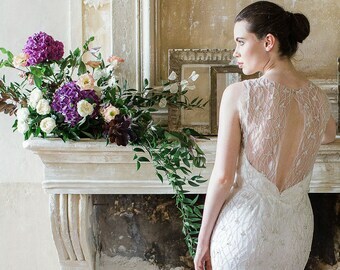 Based in Ireland, Debbie Bailie-Collins is the creative designer at Gibson Bespoke. After working within the high fashion industry for almost 15 years, she felt it a natural progression to move into creative design and her love of all things bridal shone through. 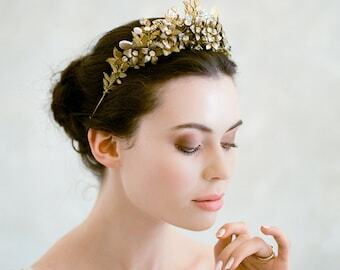 Working alongside her father, artist William Rountree Bailie, all of her stunning heirloom pieces are designed and created by them from Gibson Bespoke's old Hollywood style studio, Savoy House, alongside her newest atelier in the Georgian city Armagh which boasts four floors of sparkling one off and collection designs. 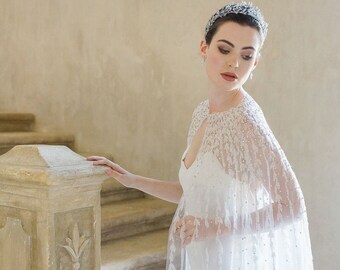 Gibson Bespoke released it's first ready to wear accessory collection in 2011, transcending into bridal wear the following year, earning critical acclaim throughout the bridal industry. Strong influences within the Gibson Bespoke design ethos include the golden age of Art Deco, the renaissance period and classical literature. Gibson Bespoke believe in the finer details. 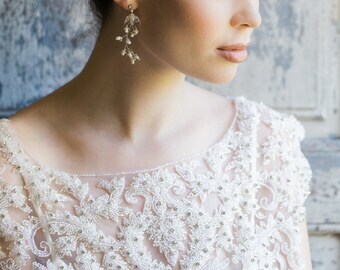 Designs are hand embroidered using couture embroidery techniques to create timeless heirloom quality adornments. 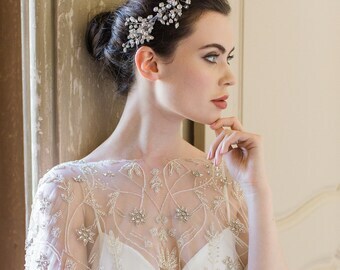 Only the finest materials are used in Gibson Bespoke designs, such as akoya and south sea freshwater pearls, Austrian crystals, hand crafted French lace, silk tulle and exquisite silk organza. All carefully selected and imported to create the most elegant and luxurious creations. Offering a bespoke service, tailored to the clients unique specifications, Gibson Bespoke have designed couture and ready to wear pieces for women across the globe, satisfying even the most diverse and individual tastes. If you would like to hear more about having something custom made, simply contact us for details. Gibson Bespoke was named Top 10 Bespoke Bridal Designers 2015 by HARPER'S BAZAAR and Top 5 British Bridal Designers 2015 by ELLE. PRESS : Vogue UK, Harper's Bazaar, Vogue Brazil, Vogue Italia, Vogue US, Brides Magazine, The Huffington Post, Hello May, Facon Magazine, C-Heads Magazine, Where Women Create, Molly Makes, Wed Magazine, Magnolia Rouge, Molly Makes Weddings, Inspire Magazine, Vermont Vows, MSN Living, Style Me Pretty, Bridal Musings, One Fab Day, Rock My Wedding, Colin Cowie Weddings, Opulent Couturier. Our stockists are currently in the U.S, Brazil, Ireland, U.K and Northern Ireland. William is Debbie's father, who at 75 years found a new calling. An artist for most of his life, he picked up needle and thread to help out during a particularly busy period for Debbie. He now designs and creates regularly for Gibson Bespoke. Welcome to Gibson Bespoke. 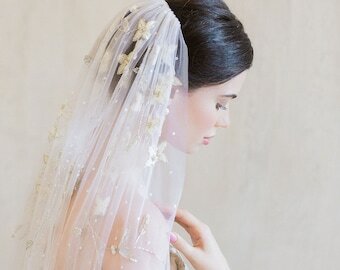 We specialize in luxury bespoke bridal wear and accessories. As all items are made to order with a custom fit, returns are not accepted. Payment plans are available for all items over $100. A 50% non refundable deposit is required via Paypal with the remainder being payable 30 days from first payment. LEAD TIMES | All Gibson Bespoke designs are made to order. Lead times vary depending on the intricacy of the work. 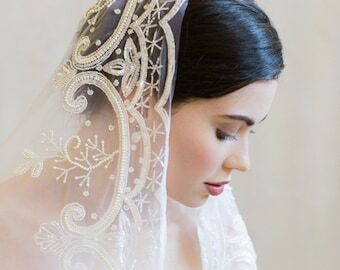 Normally there is an 8-10 week lead time on all veils, accessories and headpieces and a 24 week lead time on all gowns and some capes. Depending on the level of intricacy and beadwork, this may take longer. If you are unsure about this please get in contact, where a customised lead time can be set in place for you. Lead times are clearly defined on shipping policies on all listings. please consider if this will leave time for your event prior to your purchase. 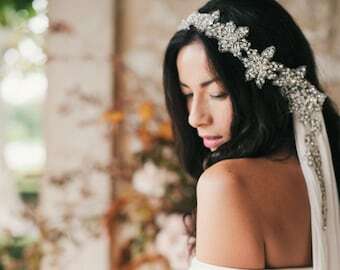 Should you require the item on a rush order basis, there is a £30 fee on accessories and £90 for wedding gowns. Please contact prior to order. SHIPPING | U.K *** 1-2 working days. U.S *** 2-6 working days. AU *** up to 10 working days. RETURNS | As all Gibson Bespoke items are tailor made and produced to order, returns are not accepted. There are no returns on vintage items. Please consider this before your purchase and feel free to contact us with any queries. WEDDING GOWNS | At Gibson Bespoke we appreciate that everyone is individual, especially their body shape. We ask that you please take into consideration some things when purchasing a gown or wedding dress. Unless you are able to travel to the Gibson Bespoke studios for fittings during the process of making your bespoke gown, minor alterations may be needed. Gibson Bespoke cannot take responsibility for the cost of these alterations. MEASUREMENTS | Gibson Bespoke advise that you attend a qualified dressmaker for accurate body measurements before purchasing your gown. We work to your specific details and cannot be responsible for incorrect measurement submissions. Measurements are required within 1 week of placing your order. WHOLESALE ENQUIRIES | Please contact us to arrange. GIFT VOUCHERS | Terms and conditions - Activated gift vouchers purchased via Gibson Bespoke on Etsy or in Gibson Bespoke boutiques are redeemable in full or part payment for merchandise from Gibson Bespoke on Etsy or at our ateliers in Northern Ireland. Gift vouchers cannot be used at www.gibsonbespoke.co.uk or in other online franchise stores stocking Gibson Bespoke. No change or refund will be given but any remaining balance may be applied to future purchases. As always, thank you for visiting our online emporium. We are proud of the quality work, products and service we provide and we want our customers to be as excited as we are with their custom made Gibson Bespoke design. Wholesale enquiries and multiple orders are welcome, please contact us to discuss more.